Pokemon Black Version NDS apk android for DraStic free download working on mobile and pc,Nintendo DS EmulatorHave you already collected them all? Well then, grab up your pokeball, because a fifth generation of Pokemon creatures comes your way from Nintendo! 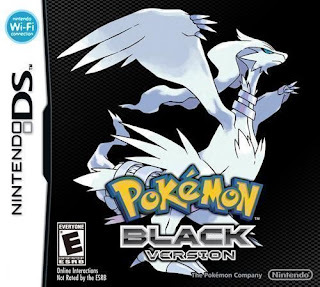 Pokemon Black Version and Pokemon White Version introduce a generation of never-before-seen Pokemon characters featured in a thrilling new storyline set in a brand new region. New Legendary Pokemon include Reshiram (Pokemon Black Version) and Zekrom (Pokemon White Version). The Black & White Pokemon adventures revolutionize the franchise with more than 150 never-before-seen Pokemon, new connectivity features and a new region to explore. New three-on-three Triple Battles and Rotation Battles add greater levels of strategy, while the Pokemon Global Link offers many new ways to enjoy Pokemon, even when you’re away from your Nintendo DS system!Features more than 150 never-before-seen Pokemon, more than any previous Pokemon video game has introduced. Until players complete the main adventure, they will only encounter these new Pokemon, creating a new experience that series fans and newcomers alike can enjoy for the first time. Players assume the role of a young Pokemon Trainer who travels throughout the Unova region, catching and training Pokemon and battling other Trainers on a quest to become the Pokemon League Champion. 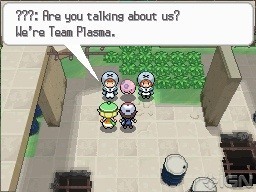 Players must defeat other powerful Trainers while working to uncover the plans of the mysterious Team Plasma. The in-game high-tech C-Gear lets players easily connect in a variety of ways. The C-Gear can connect to Nintendo Wi-Fi Connection and sync with the Pokemon Global Link. When users are playing locally, they can use the C-Gear to trade Friend Codes, trade Pokemon and battle seamlessly. Using IR technology that is built into the game card, it’s faster than ever to set up battles and trades with nearby friends. Xtransceiver lets players using a Nintendo DSi or Nintendo DSi XL system connect via video chat using the system’s camera. Up to four players can use the service locally, or two can use it via Nintendo Wi-Fi Connection (each player needs his or her own system). For the first time in a Pokemon video game, the seasons will change in the game world. Certain Pokemon appear more frequently during particular seasons, and players can only access some areas during a specific season. Pokemon Global Link lets players save their game data to a website and enjoy their Pokemon outside of the game. 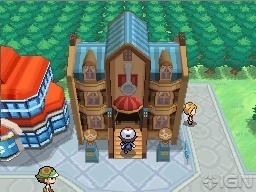 When accessing the Pokemon Global Link, players can visit and customize the Pokemon Dream World to play minigames and watch their Pokemon’s dreams; they can access the Global Battle Union to view their world ranking; and they can connect to the Global Trade Station, which lets them view their trades with other players.